The Causes and Cures of Dog Breath! The odoriferous quality of your pup’s mouth-breathing might be something to shrug off (dog’s will, after all, be dogs), but if you’re ever down wind of dog breath that’s particularly putrid, it’s time to take action. Living with dog breath is a choice with sizable ramifications, but when pet dental care is addressed and managed, both of you will benefit. Your perks are obvious, but it’s your dog’s long-term health and happiness that are majorly affected. To support you in the full eradication of dog breath, The Pet Experts at Elmhurst Animal Care Center offer reasons why stinky breath happens – and how you can reverse it. A majority of dogs over the age of three suffer (silently) from periodontal (gum) disease. While foul breath can be linked to other health issues such as diabetes mellitus, tonsil or throat inflammation, and GI issues, it’s often a direct result of gum disease. The good news? Dog breath – and its associated problems – is entirely preventable. Dental care is an important part of proper care for your dog or cat. Having your veterinarian do a quick inspection during your pet’s routine wellness exams is good. 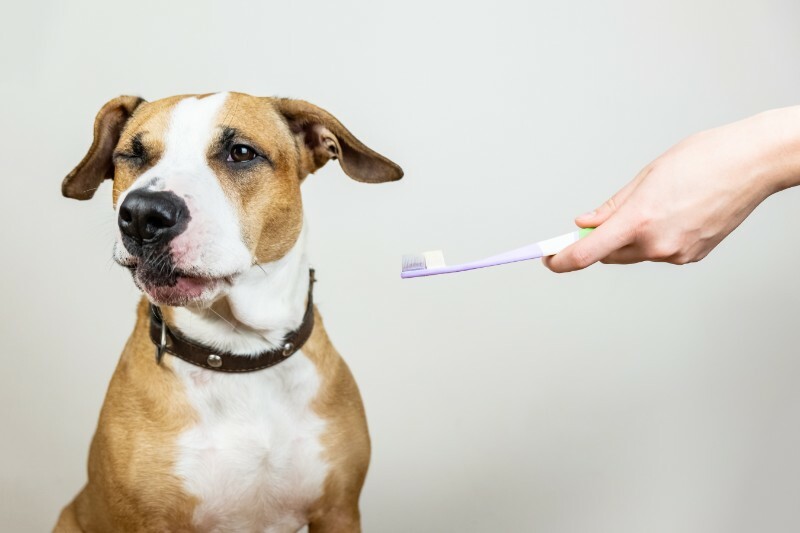 Providing home dental care as instructed by your veterinarian is important, but your furry friends need periodic dental cleanings to keep their mouths healthy. In fact, by the ripe old age of three, most pets have some dental disease. 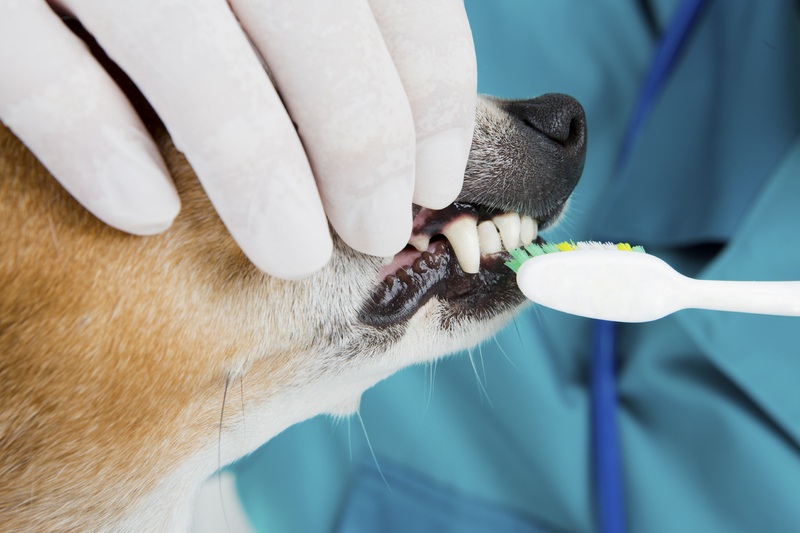 What happens during a professional dental procedure for your pet? Anesthesia. There are no bones about it; a proper, thorough cleaning cannot take place without general anesthesia. This allows the veterinarian to thoroughly examine your pet’s mouth, take dental x-rays if indicated, and perform an in-depth cleaning. Your pet’s history and current physical condition will be taken into account when developing an anesthetic plan, allowing for the safest anesthetic experience possible. Examination. Once your dog or cat is safely anesthetized, a detailed examination of his or her mouth takes place. Any problems are documented and a plan is formulated to address them. Ultrasonic and hand scaling. The dental plaque and tartar that cause periodontal disease is removed from all sides of the tooth and under the gum line. Polishing. To keep your pet’s whites pearly, the teeth are polished after scaling in order to smooth the tooth’s surface, slowing the deposition of further plaque and tartar. Problem solving. Your pet may have teeth that need to be extracted or need other procedures in order to address any issues that are identified. Your veterinarian will identify any issues and explain your options. Putting together a game plan. Your veterinarian will determine a plan for resolving any immediate issues and for better maintaining your pet’s dental health down the road. All pets need routine, professional dental cleanings. Make it a priority this year to provide your special dog or cat with this basic care. Speak with your veterinarian about when your pet should have a dental cleaning and what you should be doing at home to enhance his or her dental health. Take advantage of our February 20% discount on dental cleanings in celebration of National Pet Dental Health Month. Phone now to book an appointment while this is on your mind. (630) 530-1900. Starting around the age of 1 year, all pets should undergo a complete dental examination to find and address any problems. By examining your pet’s teeth, gums, and oral cavity thoroughly under general anesthesia we can be sure that we don’t miss anything. Most of us visit the dentist multiple times per year. We recommend that pets receive a dental cleaning including ultrasonic tooth scaling, polishing and a fluoride treatment under general anesthesia. For many pets this needs to be on a yearly basis. Each pet’s individual needs should be discussed at their yearly examination. This is important as well! You can help aid your pet’s dental health at home by utilizing prescription dental care diets, recommended toys and treats, and by brushing your pet’s teeth regularly (daily is recommended). To brush your pet’s teeth use a veterinary or soft toothbrush with an angled head. Never use human toothpaste but rather an enzymatic veterinary toothpaste. At first you should start slowly to avoid upsetting your pet- make tooth brushing a positive experience! If you need help or more information or a demonstration, please let us know. 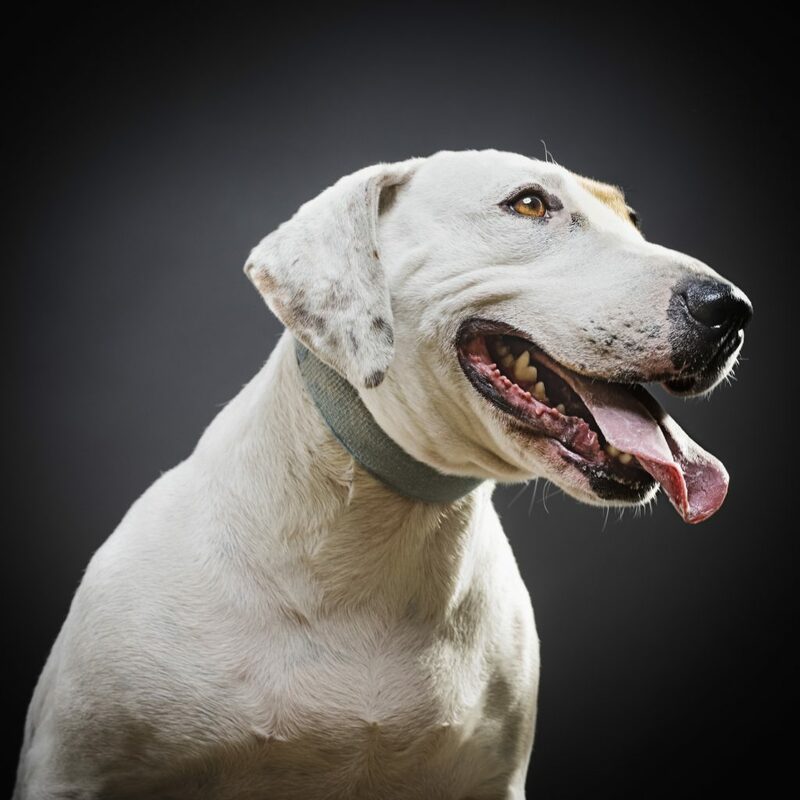 By providing your pet with the above preventive dental care measures, you are taking an active role in reducing the incidence of dental disease in your best friend and keeping that smile around for years to come.